Are Healthy School Lunches A Lost Cause? 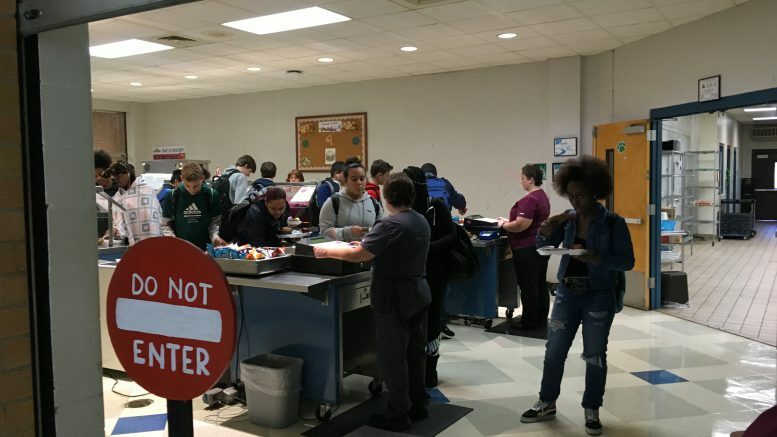 Students deciding on and grabbing what to eat in the lunch line of the LRHS school cafeteria for the day (photo courtesy of Asis Johnson). For years, in America, the constant terrible reputation of school lunches has been a controversial topic. In a majority of public schools the level of nutrition or bad taste of school lunches is talked about between students and parents. The grant of school lunches began in 1946, when the National School Lunch Act was introduced. The National School Lunch Act is a law created to provide low-cost or free school lunch meals to qualified students through subsidies [a sum of money granted by the government] to schools. However, the National School Lunch Act does not mean that all schools in America are obligated to provide student with school lunches. For example, it is not mandatory for the state of Nevada to serve students lunch or breakfast. Obviously, not all of these terrible conditions are relevant to all schools; Leesville uses disposable trays and has never had any alarming results from inspections. However, this does not mean that sickening bacteria or an extreme lack of nutritious food is not apparent in our local schools. Student illnesses have been directly linked to school lunches, and the number of illnesses is at a steady increase. In the past, school lunches have been linked to an outbreak in E. Coli. The USDA provides food for the National School Lunch Program; the USDA has the duty to stamp off safe foods for packaging and delivering. But the USDA has failed, when an outbreak of E. Coli occurred and was directly linked to students food (specifically meat) from the school cafeteria. Since the outbreak in E. Coli occurred, many smaller instances of students getting ill have been linked to the food they are served in their school cafeteria. Not only is the safety of school lunch food an issue, but its nutritional value is also an issue. 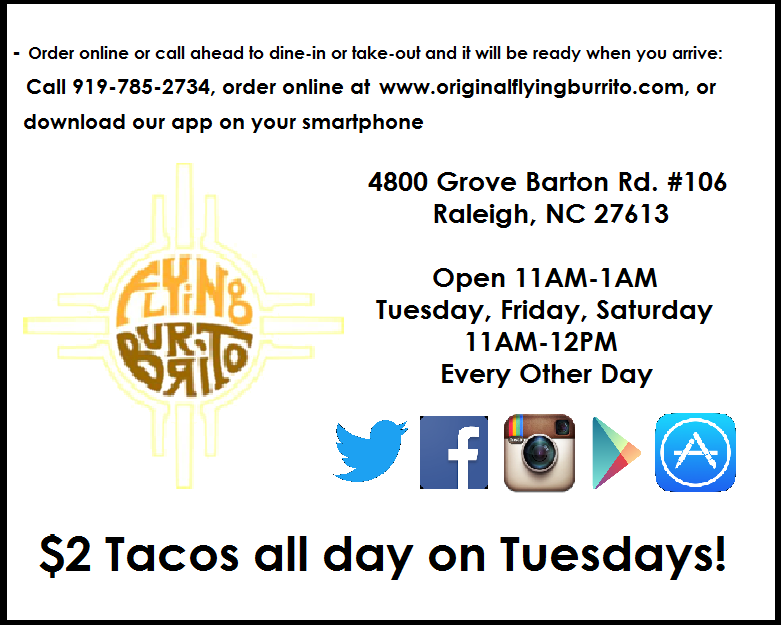 Wake County provides students with a variety of food options. Some of these options range from pizza, to chicken filet sandwiches, to porkchop sandwiches, to hot wings. All these fast foods tend to be processed and high in fat, sugar, and salt. The processed foods served in cafeterias is scientifically proven to be linked to the childhood obesity epidemic. Fast foods that are served in school tend to be the best tasting; if students have access to it everyday in school, it’s a nonstop fast food fest. Although many of the options are not of much nutritional value, assorted fruits and vegetables are apart of school lunches as well. It is required for students to get a certain amount of fruits and veggies with each lunch meal, but that doesn’t mean they will eat them. Mainly because they are concerned about the quality and taste. So why do schools serve food with so many cons for children and their health? Well, it’s because it’s all that some schools can afford. Food with lower quality is cheaper, so if need be, that’s what schools pay for. According to Fooducate, “they [school food services] have incorporated them [fast foods] into the subsidized meals themselves in order to avoid losing student participation in the meal program. (The Federal funding is paid per participating child).” Funding for the National School Lunch Program (NSLP) is not at an amount that provides students with proper nutrition and cleanliness in their food. Lunch is not a world recognized daily meal for no reason, it’s needed for the best health, especially in children. Food is what gives you energy, as students go through the school day they need to refuel themselves with food of nutritional value. For children, lunch is even more important, because the meals they eat through the day provided with the vitamins and nutrients they need. Lunch is what is what keeps the body and brain pushing for the rest of the afternoon. There has been some attempts to improve school lunches, and some of these attempts have positively affected the increase in quality of school lunches. One attempt is the introduction of guidelines that schools had to meet in all their school meals; for example, the standards in the Healthy, Hunger Free Kids Act. Chefs were also encouraged to in schools and “smart café” (a system that strategically places healthy foods like fruits and vegetables more prominently in lunch lines.) These all increased the amount of healthy foods in schools and decreased the amount of junk food. However, none of these attempts have gotten school meals to their best possible quality, but not all the responsibility for children getting nutritious meals is on the government or school associations. Many health classes teach children the importance of healthy meals in their diet, but staff and cafeteria workers should also be informed of its importance and the best ways to put healthy school lunches into action. In order for kids to be appealed to healthier foods, schools can make the food look more appetizing. No child or even adult wants to grab food that is spread all over counters and stored in dirty containers. Students can put the things they learn in their health classes to play, and choose wisely when in school lunch lines. They can also pack their own lunches, with foods of the best nutritional value, packing your own lunch also satisfies a students personal likes and dislikes when it comes to foods. Be the first to comment on "Are Healthy School Lunches A Lost Cause?"